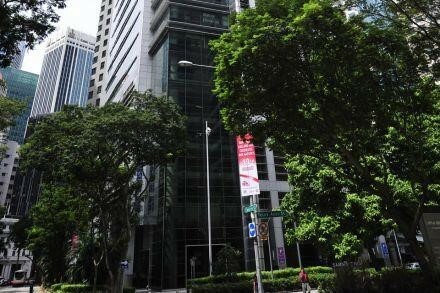 Inclusive of the latest deal, Church Street Holdings, a partnership between Singapore-based Buxani Group and a group of offshore investors, has sold all six floors in Samsung Hub that it bought from OCBC in 2007. 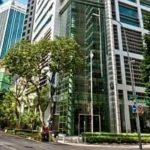 THE 21st level of Samsung Hub has been sold at S$3,280 per square foot – on strata area – setting a record for an entire floor in the 999-year leasehold office building along Church Street. This surpasses the previous whole-floor record in Samsung Hub of S$3,225 psf in September this year for the 18th level. 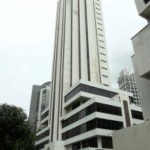 In the latest transaction, the entire Level 21 comprising six strata units adding up to 12,841 sq ft were sold for a total sum of nearly S$42.12 million.  A Korean family office is understood to be acquiring the premises possibly for occupying part of the space for its own use, after the existing lease on the floor, to Samsung C&T Corporation, expires in January 2016. CBRE brokered the transaction. 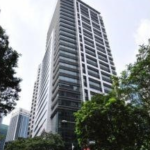 While the S$3,280 psf is the highest achieved for a full floor in the 30-storey building in the Raffles Place area, the highest psf price for an individual strata office unit in Samsung Hub remains at S$3,500 psf for an 883 sq ft unit on the 17th level transacted last year. 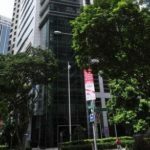 With the latest deal, seller Church Street Holdings has divested all the space on the six floors (Levels 16-21) it acquired from OCBC in 2007 for S$1,560 psf or S$122.4 million. Three of these floors – Levels 18, 19 and 21 – were divested this year. Last year, Church Street Holdings sold all six strata units on Level 17 on an individual basis. It sold the 16th and 20th floors in 2012 and 2011 respectively. 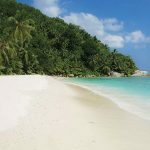 Church Street Holdings is a partnership between Singapore-based Buxani Group and a group of offshore investors advised by Seychelles-based Capital Management Group. 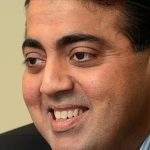 Confirming the sale when contacted, Buxani Group CEO Kishore Buxani said: “Following the recent sale of our Levels 18 and 19, we were again approached by various real estate consultants with unsolicited offers for our remaining floor on Level 21 from potential buyers who had the intention to acquire the space for their own long-term occupation. 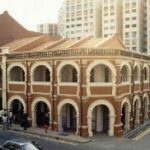 “Furthermore, all the floors above that – from Levels 22 to 30 – as well as Level 15 are owned by the Singapore Chinese Chamber of Commerce & Industry and will probably never be up for sale. 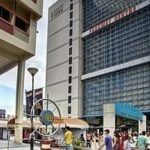 The Buxani-Capital Management Group partnership also owns the entire seven-level commercial podium of Thong Sia Building on Bideford Road; and Katong Point, which is currently being revamped into a four-storey mall that is expected to be completed in the second half next year. The duo also own 21 strata office units at Parkway Centre.